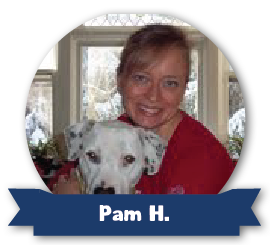 Pam is a Rochester native who got her first taste of pet sitting while living in Dallas, TX. Having returned to the area four years ago, she and her beloved pup, Finn, have found all kinds of places for adventures! The seasons don’t stop her either. Heat, wind, rain and snow, she is ready to get your dog on the go! Pam loves all animals and will shower yours with all the love and affection they desire.